Audiences around the world let out a collective gasp earlier this week as news broke that Cher is set to appear in the upcoming Mamma Mia sequel - and now there's even more reason to get excited. Yep, according to the New York Post, the legendary singer won't just be making any old cameo appearance: She'll be playing the mother of Meryl Streep's character Donna. The Oscar-winning pair previously starred opposite each other in 1983's Silkwood, and though they're separated by just three years in age - Cher is 71 and Meryl 68 - Cher's appearance is reportedly set to come via the medium of a '60s flashback. 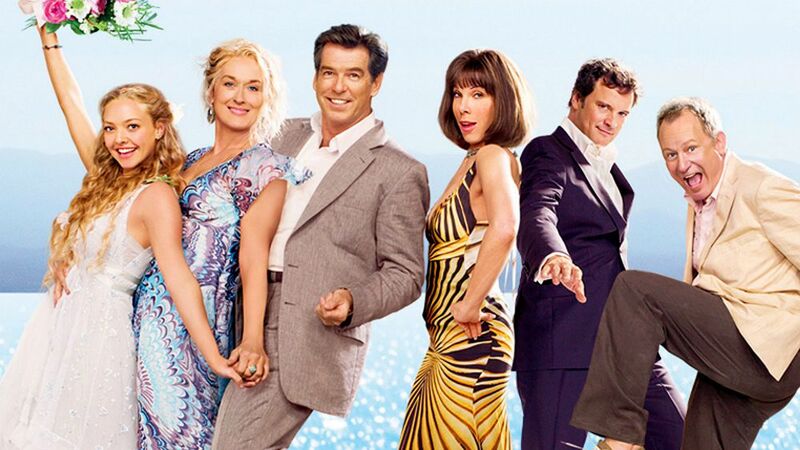 Announced earlier this summer, Mamma Mia: Here We Go Again! is currently being filmed both in the UK and on location in Croatia with most of the original cast members, and is set to include hit Abba songs that didn't make it into the 2008 original. The movie will mark Cher's first big screen appearance since 2010's Burlesque, and the 'Believe' singer has been expressing her excitement (and nerves) on Twitter this week. Revealing that she's taking on Abba's 1976 hit song 'Fernando' for the film, Cher admitted it felt like a long time since she appeared opposite Christina Aguilera in her last movie musical. She tweeted (please stand by while we attempt to translate): "Can't sleep [tommorrow] is 1st day cast did [Mamma Mia] and [halfway] through [Mamma Mia 2] I did Burlesque [before] Lincoln had whiskers. ONE GREAT THING.. BENNY [loves] Fernando"
"Worked LATE LAST NIGHT. Make up/Hair test“CRAZY Then Mark’s 2 Re-Sing FERNANDO.Wasn’t Happy,Feel MUCH Better MY VERSION IS Me.”GREAT SONG“" she tweeted on Tuesday.